Company ends contract after dolphin dies at facility. 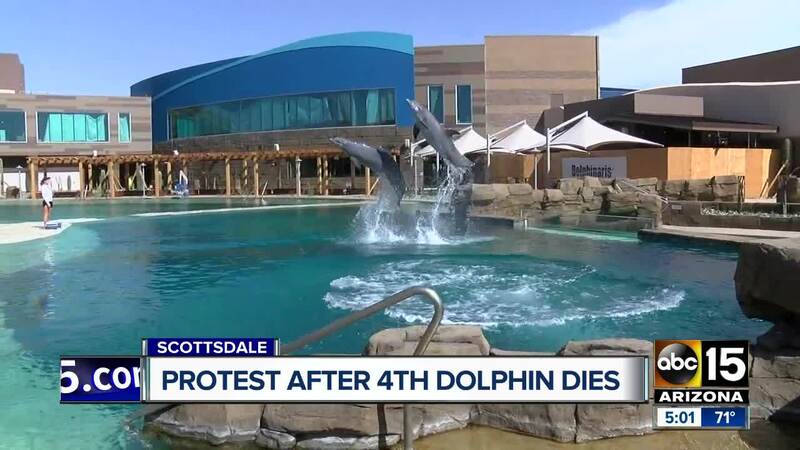 SCOTTSDALE — Dolphin Quest, one of the companies responsible for loaning dolphins to Dolphinaris, has "formally terminated its animal loan agreement with Dolphinaris" per an email sent to the press Saturday afternoon. According to the statement provided by Dolphin Quest, the company is "evaluating next steps for the remaining two Dolphin Quest animals." "While we grieve for Kai and the other animal losses at Dolphinaris, we are focused now on the remaining dolphins and the best options for them," the statement read. Kai, a 22-year-old male dolphin, was on loan to Dolphinaris from Dolphin Quest. 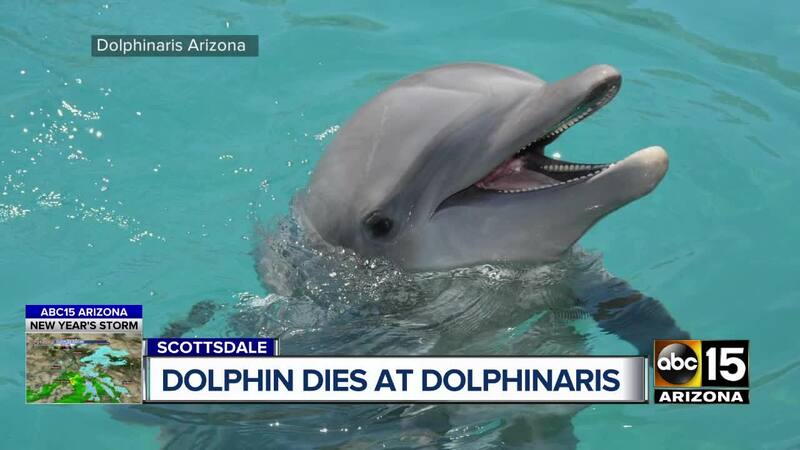 He is the fourth dolphin to die at the East Valley attraction in less than two years. While the exact cause of Kai's death is currently unknown, a spokesperson for Dolphinaris said Kai was euthanized at 5:40 a.m. Thursday after his condition deteriorated. Per a previous ABC15 report, Kai had been experiencing difficulty swimming, eating, and breathing for about two weeks. The Dolphin Quest team is heartbroken over the loss of our beloved Kai, a 22-year-old male dolphin, who died Thursday while in the care of Dolphinaris Arizona. The exact cause of death is unknown at this time pending the results of a post-mortem analysis. Kai was on loan to Dolphinaris, located in Scottsdale, AZ, where he participated in educational and experiential learning programs for the public. As of yesterday, Dolphin Quest has formally terminated its animal loan agreement with Dolphinaris, and it is evaluating next steps for the remaining two Dolphin Quest animals. 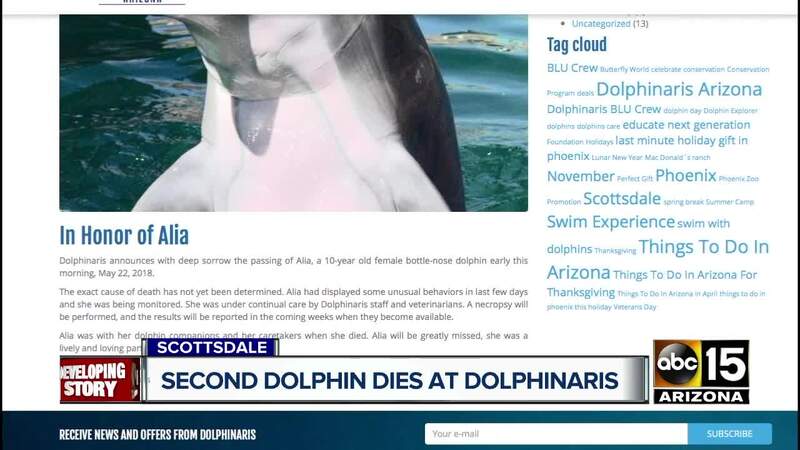 While we grieve for Kai and the other animal losses at Dolphinaris, we are focused now on the remaining dolphins and the best options for them.